Club track sessions on Wednesday March 20th and Saturday March 23rd are both cancelled. 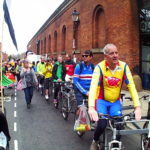 I know it’s Easter Sunday but it’s about the only date that doesn’t clash at that time of year – it was the same situation last year and we got a decent turnout. Happy New Year to all our club members. With the new year in mind we have a couple of updates for you, which we wanted to communicate. After discussion with some parents and suggestions that this may make things easier and more streamlined for some, we have decided to introduce a system for online payments for club sessions. We are now able to accept payments via mobile banking so if you want to pay for session fees, membership, kit, etc online just show us the confirmation on your phone and we will match it to our bank. For bank account details – see email version or ask at any Club session. As we approach the end of January all of our members should now have renewed their annual club subscription. Can we ask that for the month of February, that you bring your membership card to all club sessions. Any rider who does not have their membership card, may not be allowed to attend club sessions without one. Could any outstanding memberships be renewed by the end of the month to prevent you being subjected to any further costs. As a track based club the National Track Championships always form a focus point for our club efforts. Over the past weekend it was the turn of our senior club members at the National Cycling Centre, here in Manchester. Over the weekend we were represented on the track in various events, and as in previous years we have achieved more success. We would like to congratulate our new National Champions, Jess Crampton – Women’s Keirin (for the 2nd consecutive year !!) and Matthew Rotherham – Men’s Kilo. 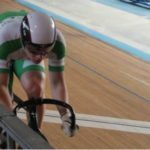 Matthew as pilot to Neil Fachie in the Tandem Kilo also managed to set another World Record this weekend. This time Anti Doping were present so this should be made official very shortly. The question is… “Can they get down to 58 seconds ?? Many other riders who competed across the Senior and Para events over the weekend, and we would like to congratulate everyone on their hard work and effort. In other disciplines, action continues in Cyclocross with many of the regional leagues now coming to close. 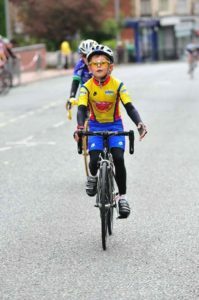 In North Wales, Sam Stewart-Ball achieving 2nd place overall in the Under 12s. The North West CCA League is also coming to a conclusion, and we are expecting more success from our club members there. Congratulations goes out to Joe Watkins-Wilson who took his first win this weekend in Northwich. We also have the road circuit race season, getting underway with the MAMIL series in Stourport, Worcestershire. The annual series of 4 races takes part in January/February and is often a baptism of ice and snow for the intrepid competitors. Congratulations to anyone competing there ! Finally it was the opening round of the Icebreakers Track series in Newport, Wales this weekend. It saw some of our Youth A – C riders competing in the endurance based omnium series. The event comprises Scratch, Elimination and Points races and allows riders to blow out the winter cobwebs and se how their winter training is progressing. We had representation from Casper and Lola Ellis, Sam Stewart-Ball, Dan Jackson, Xavier Teece-Round and Evie Black. They all rode extremely hard and we would like to congratulate them all on their hard work. 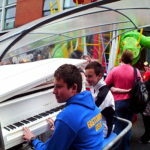 On the back of the recent parents meetings, it has been decided that Matt Rotherham will run a series of workshops. These will run, one on a Saturday morning and then one on the following Wednesday Evening. The sessions will run in conjunction with the scheduled parents meetings. The proposed schedule (which may change due to Matts racing commitments) is as follows. Gears. Particularly for riders changing category on January 1st. Race Preparation. 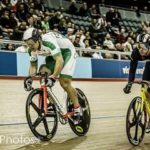 Particular focus on Omnium and Nationals races. Workshop looking at youth training – how much should we be doing, what sessions should we be doing, where should we be riding. This workshop is for riders and parents and will focus on training giving information on what youth bike riders should be doing to maximise their development. There will be plenty of opportunity so please come with questions and a notepad to collect information. Suitable for Categories A-C Youth. 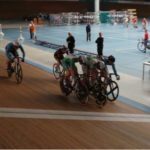 Workshop looking at indoor training – what are the differences between turbo + rollers, when should we use them and what sessions can we do. This workshop will cover the difference between rollers and turbo trainers and how they can be used in relation to training needs. 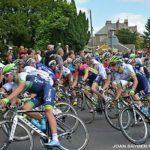 Riders will get the chance to see and experience the British Cycling world class warm up and take part in other training sessions. Please note that riders should already have some competence in riding rollers – this is not a ‘learn to ride rollers’ session. Coaches and parents are welcome (and encouraged!) to attend both these workshop sessions in order to learn more about these topics and help their riders but due to venue constraints can riders please bring a maximum of one parent and book a ticket so we are aware of who to expect. Suitable for categories Youth C-A. Further details of these sessions, and how to book tickets, can be found here. Copyright © 2018 Eastlands/Sportcity Velo, All rights reserved. levels are welcome and we will still provide a worthwhile workout for all riders. Date confirmed so far are Sundays 25/11, 9/12, 16/12, 23/12, 30/12, 6/1/19. We are awaiting confirmation for Saturday 1/12. Cost of session is £5 and riders will need a road bike with two working brakes. Please confirm attendance by signing up at Saturday/Wednesday sessions. Any questions ask one of the coaches. Another member of our Alumni has progressed into the Professional ranks. 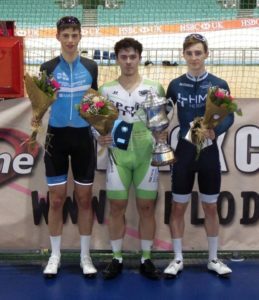 Adam Hartley who began his cycling career at Eastlands Velo and developed through the BC system to become an academy rider, has just signed for Dutch U23 development squad SEG Racing. We wish him every luck with his new move ! The Saturday session for June 23rd 2018 is cancelled due to a cheerleading competition. Please would any members who have not responded to the GDPR email from May 24th, please do so as a matter of urgency. Please check your emails and SPAM folder if you haven’t read the email. 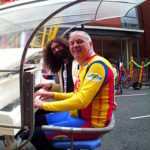 We still have a number of riders and some committee members who have not opted in to the mailing list and from next month the new mailing list will be in use, meaning anyone who has not responded will miss out on club news and session updates. 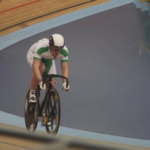 Our first club session back on the new track will be the Wednesday rider’s session on May 30, 6-8pm, then we’re back to regular times for all sessions with no cancellations yet over the summer. The circuit session at Tameside for Saturday May 26 has been cancelled as it clashes with other events and we won’t have sufficient coaches available. We hope to rearrange this for later in the summer. Details of BC holiday sessions at Tameside are below. Knowsley track – club session this Sunday 27th, 9-12. 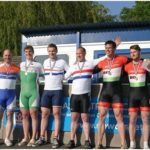 Riders in club teams at the Herne Hill Team Track champs – please make sure you attend this session. We’ve had two coach’s meetings over the break and have a few changes to the old format. For Saturday riders we will make the objectives of each group, and the expectations for rider’s progression, clear to riders and parents. We hope to have these on the club website shortly and will go through them briefly at the session. For Group 3 riders there will be fixed accreditation dates (at least four annually), the next one will be on September 1. Group 2 riders will not be moved to Group 3 if there are less than four sessions until the next accreditation. Wednesday sessions – completing track accreditation does not mean a rider automatically moves up to Wednesdays. 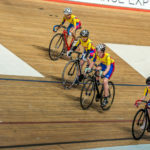 Riders are expected to be competing regularly in open track events before they are invited to Wednesdays. There is a four sessions attended probationary period before regular attendance is confirmed. 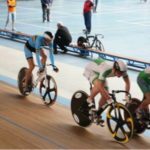 Riders are expected to bring rollers to each session and to use the correct gearing. 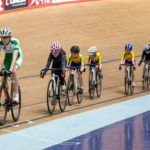 We are planning phases of sessions throughout the year, based on rider’s training requirements, and in June and July we will be focusing on preparation for the Youth A and Junior Track Nationals, which are in Newport at the end of July. More info and entries here. In order to plan these sessions it would be useful if riders could let us know what events they are thinking of entering – just reply to this email. We will also be having a meeting for Wednesday riders and parents straight after our first Wednesday session back on May 30. Coaches will try and answer any queries about the Nationals. Please note that this first block of Wednesday sessions isn’t just for Nationals riders. 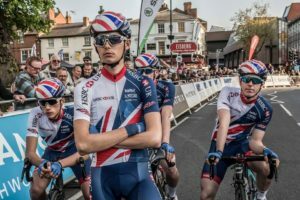 If you’re a Wednesday Youth B or not doing the Nationals you will still benefit from them as we’ll be covering things like starting gate practice, Individual Pursuit etc that we don’t do much throughout the year. BC coaches Craig Ansell and Si Wilson will be running a two day race coaching camp at Tameside on May 30 and 31, offering 4 hours of riding and around 60-80k covered each day. Info and booking for Wednesday and Thursday. 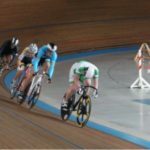 The NCC are planning an event to relaunch the new track and would like 16 riders from Eastlands and Sportcity Velo to take part – this will include an opportunity to ride the track. The event will be on Wednesday June 6 from 1-2pm. 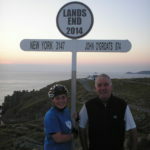 If you are a club youth or junior member and would like to take part then please let the NCC know – cyclingbookings@eastlandstrust.org – first 16 get the places. Still more track Omnium opportunities – On Sunday September 23 the club is promoting the Sportcity round of the National Mens and Womens Sprinters League, with generous sponsorship from RRG Skoda. The event will also include Youth A/B Omniums – details here. 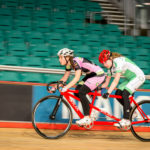 The following month, Sunday October 14, there will be a Youth A Omnium at Derby as a support event for the National Senior Omnium champs – details here. This is not another GDPR email but in order to comply with the new Data Protection regulations we will need to get your consent for us to keep sending you these newsletters. You will receive a further club email tomorrow with a way for you to give this consent. If you don’t respond we will have to remove you from the mailing list.